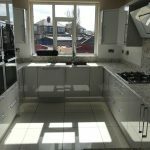 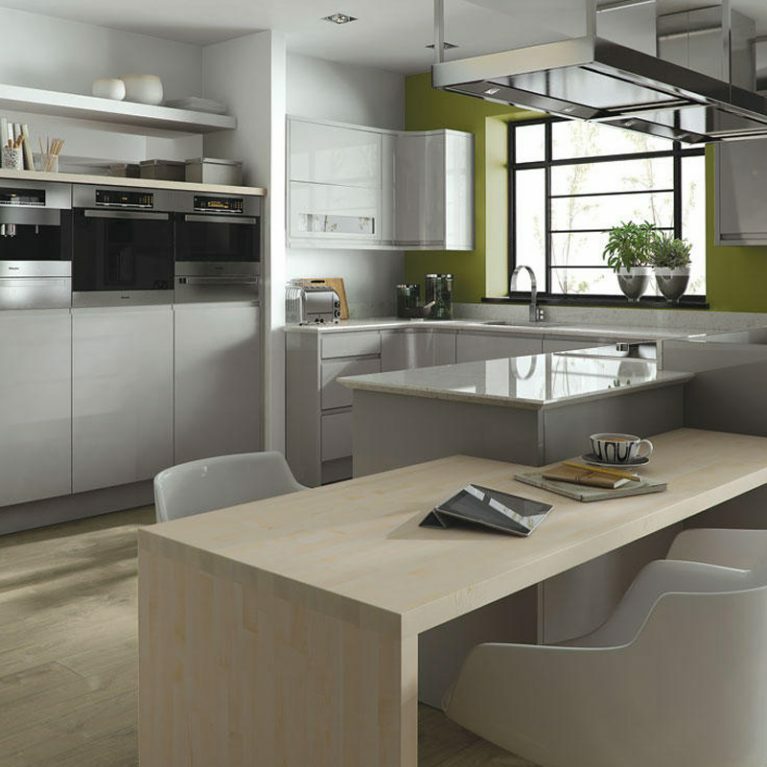 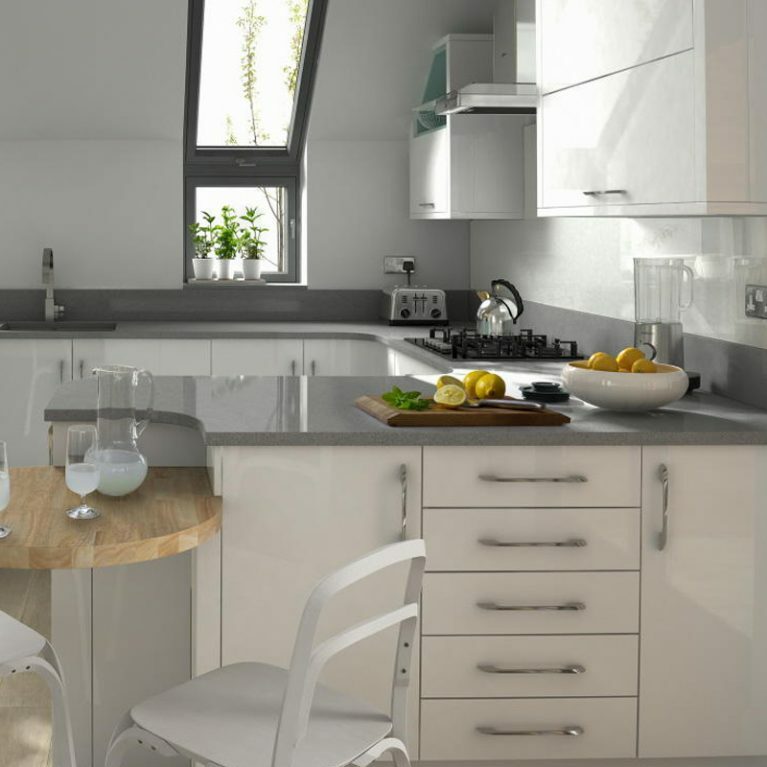 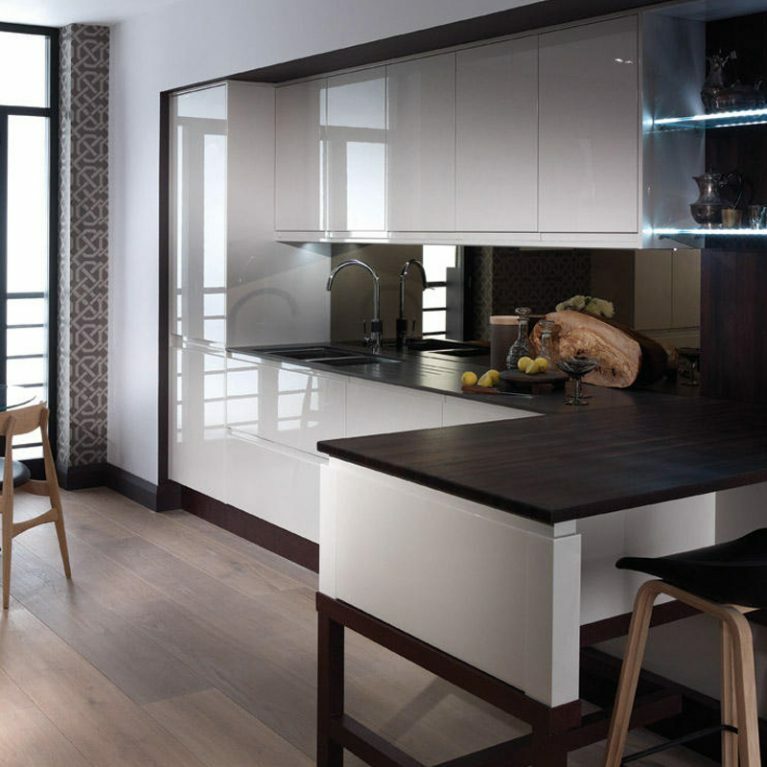 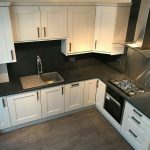 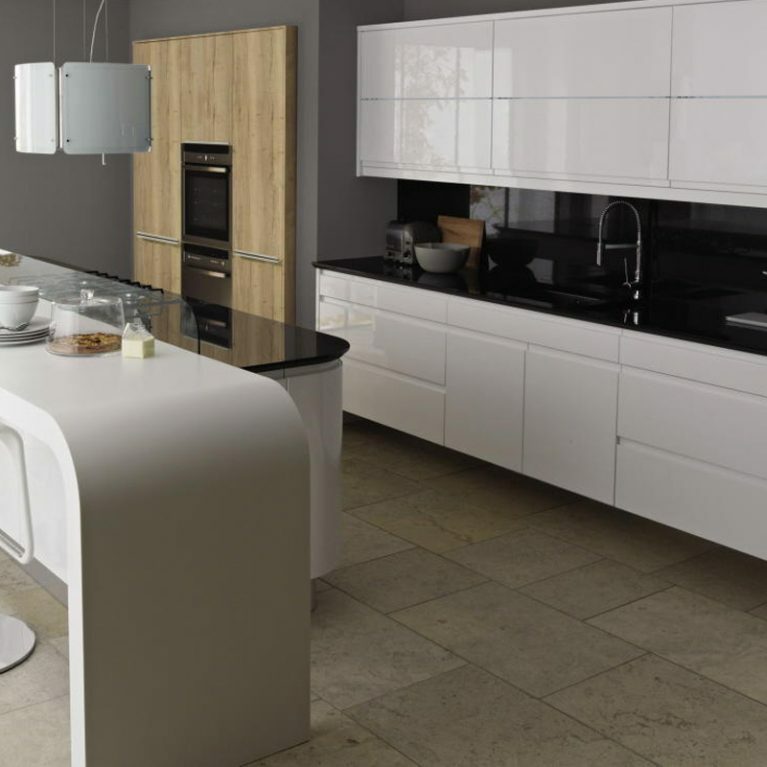 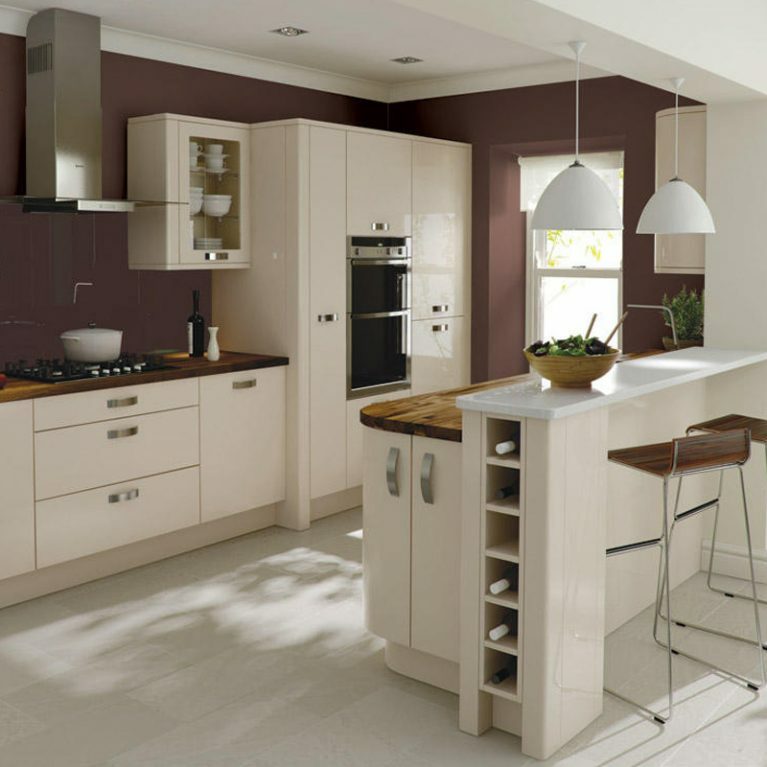 Want a kitchen that maximises your space whilst remaining incredibly stylish? 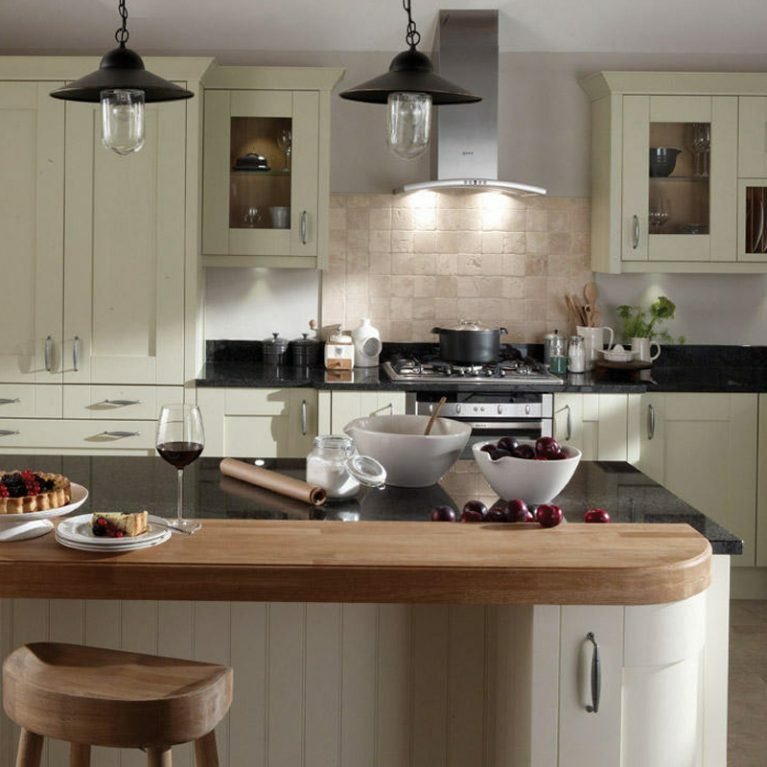 You need to take a closer look at the beautiful Milbourne Almond. 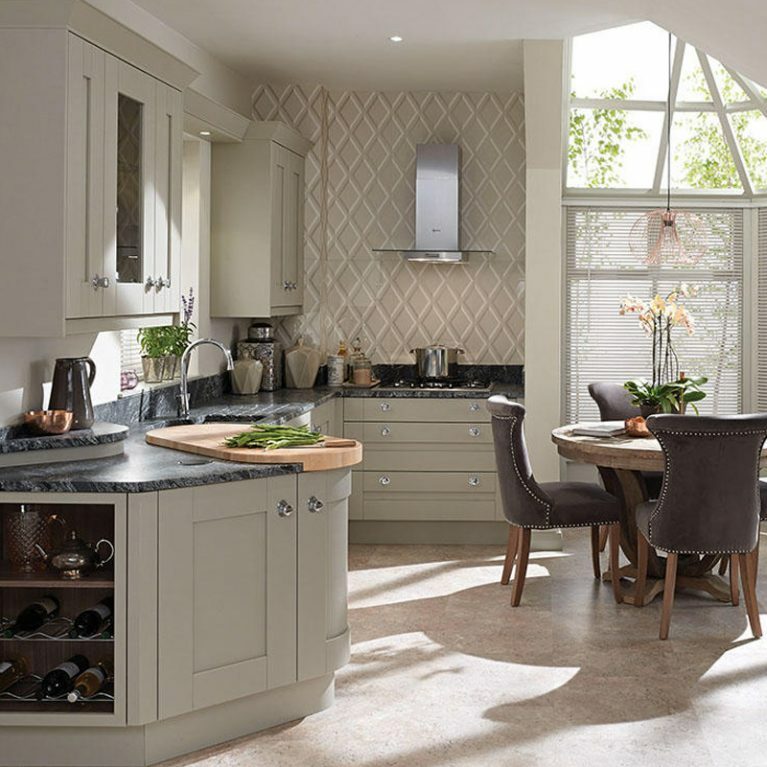 The Milbourne is a flawless shaker-style kitchen, which is designed to create optimum storage space for your kitchen with a seamless end result. 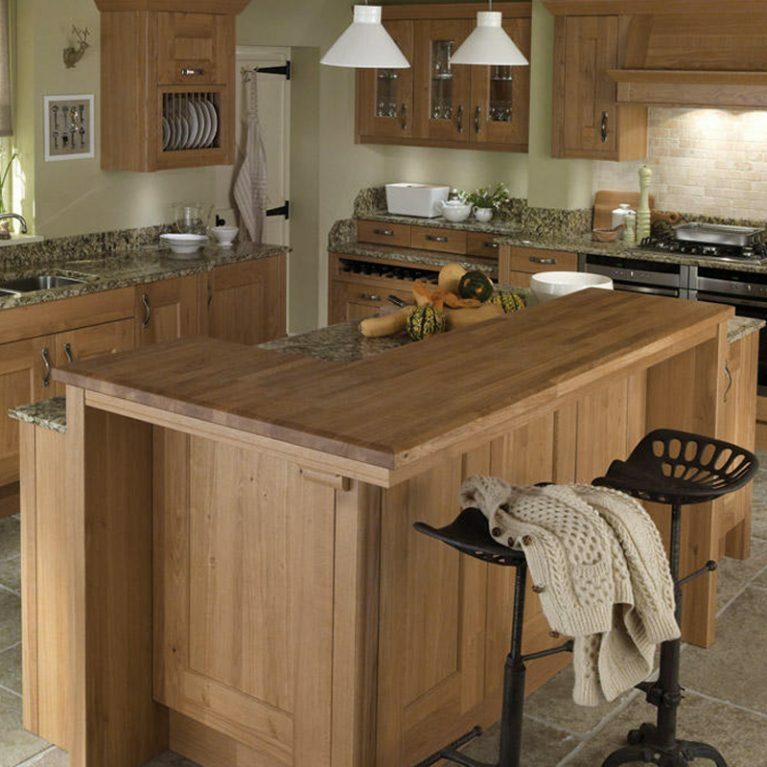 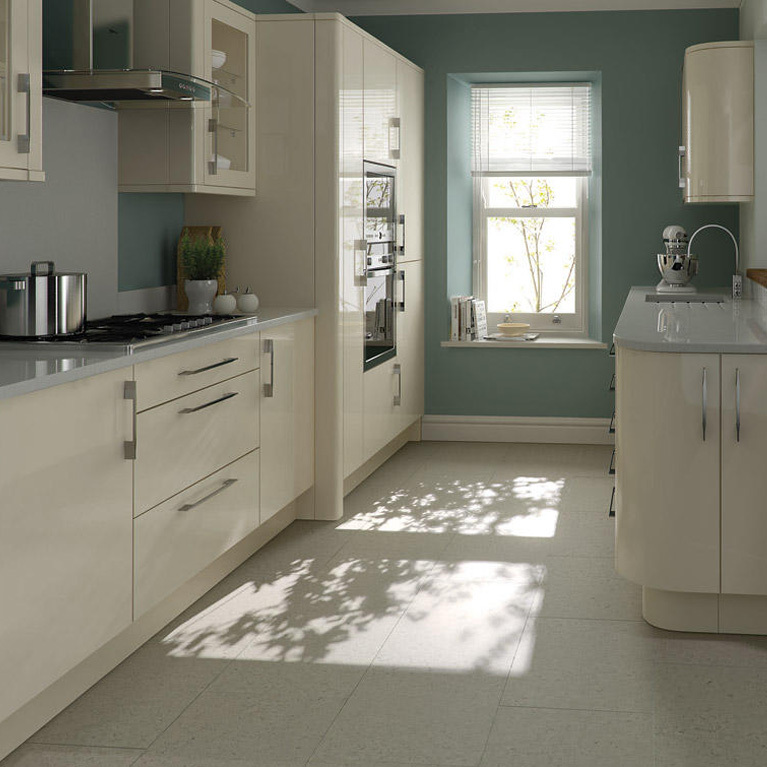 You’ll find endless cupboards and drawers in the Milbourne Almond classic kitchen, without a clunky look. 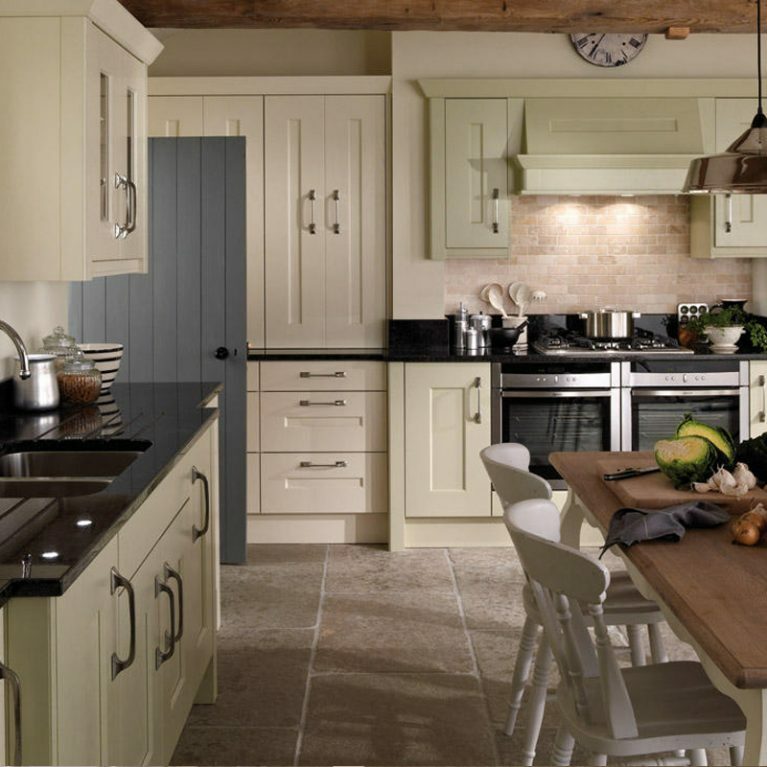 In fact, the stunning shaker cupboard doors actually look smooth and stylish, adding a touch of class to your kitchen space. 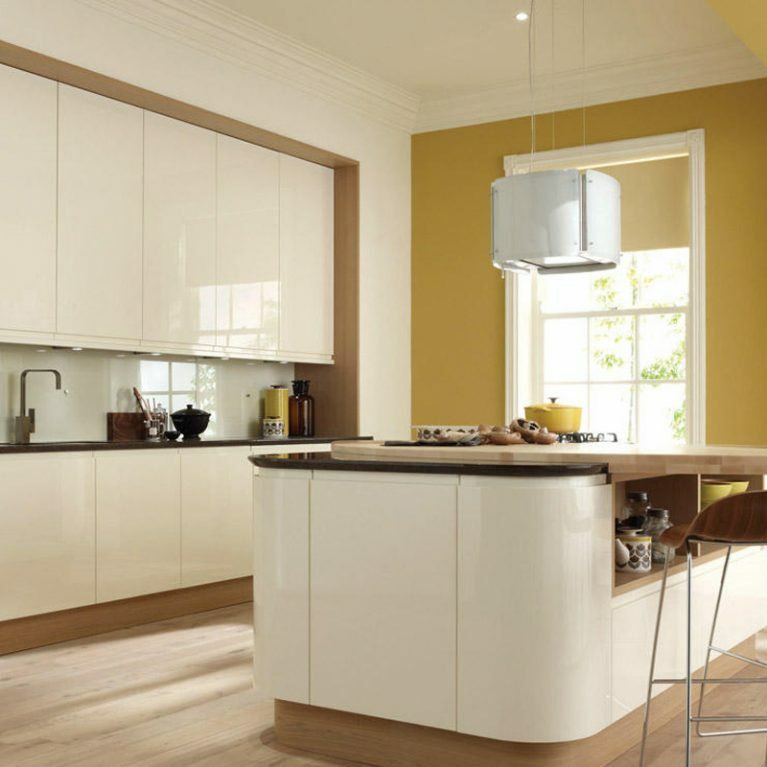 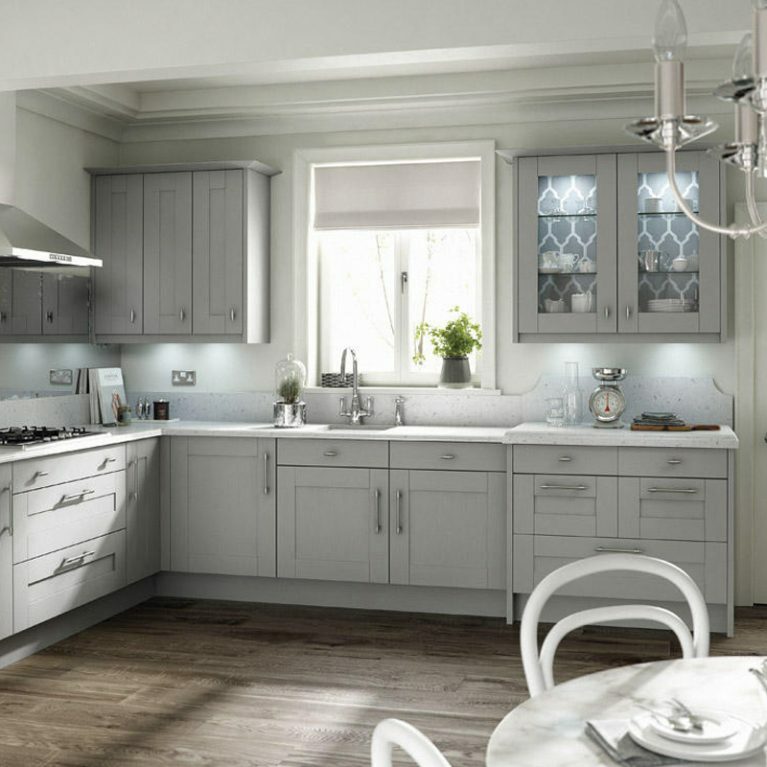 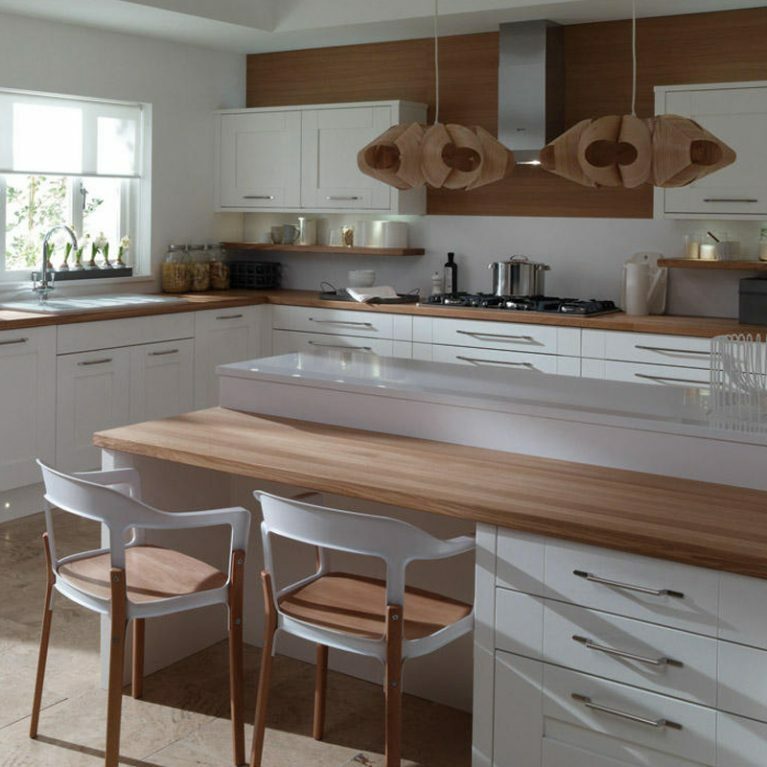 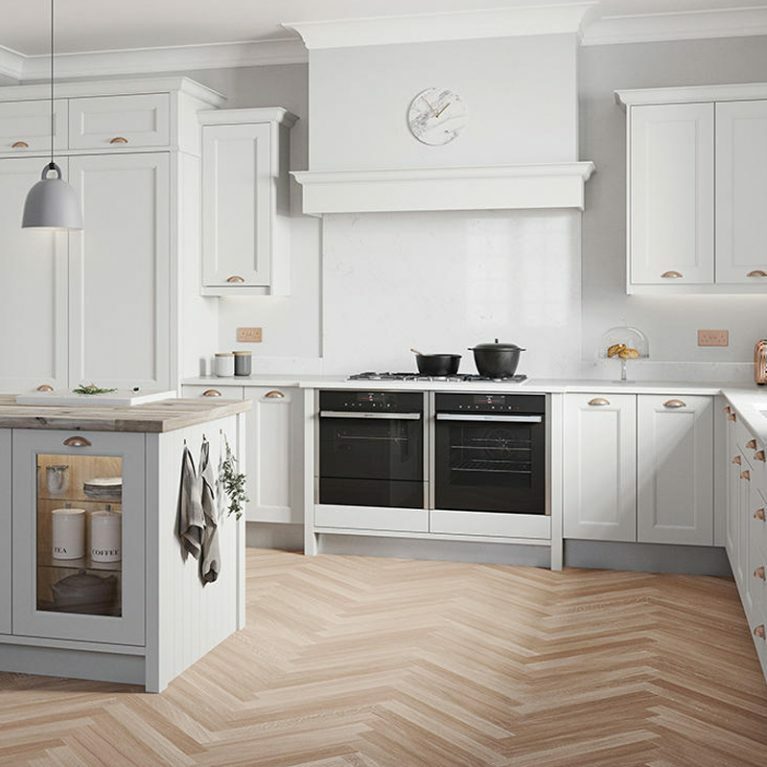 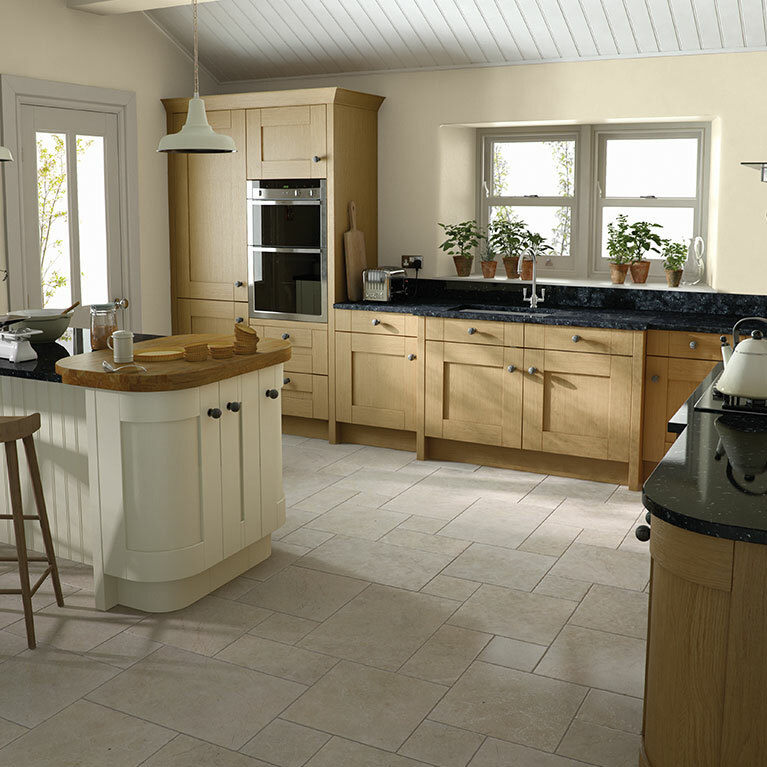 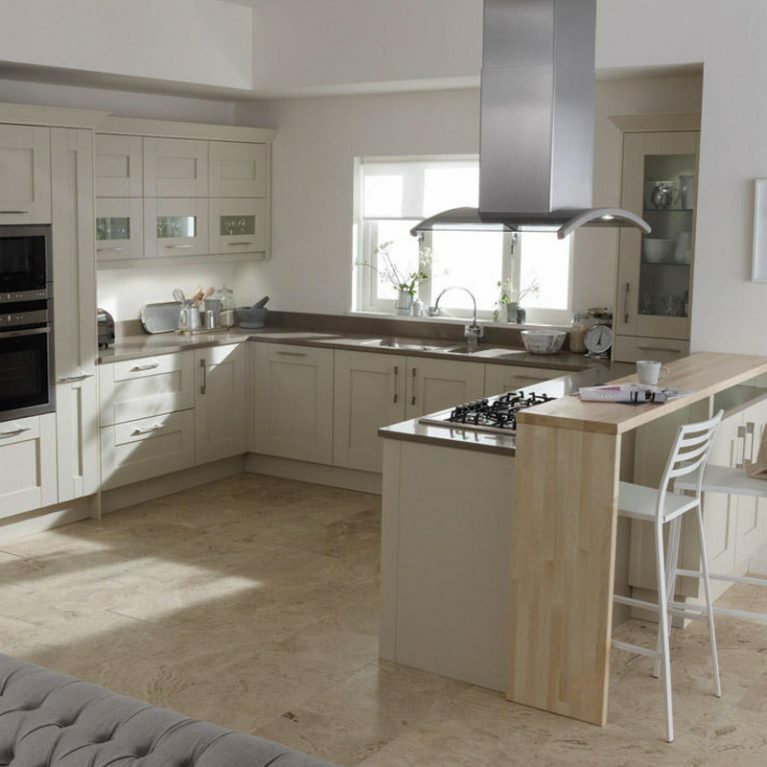 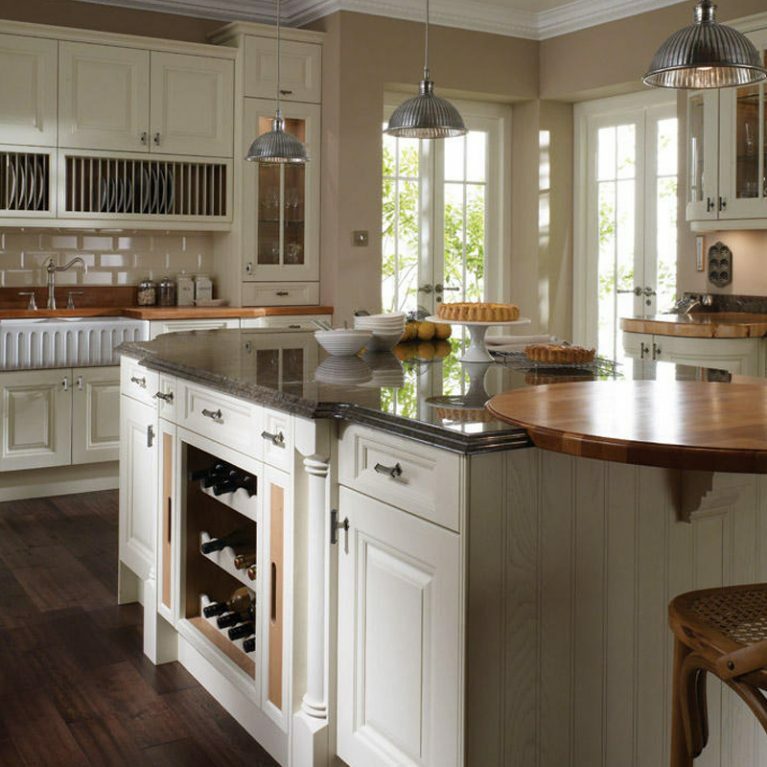 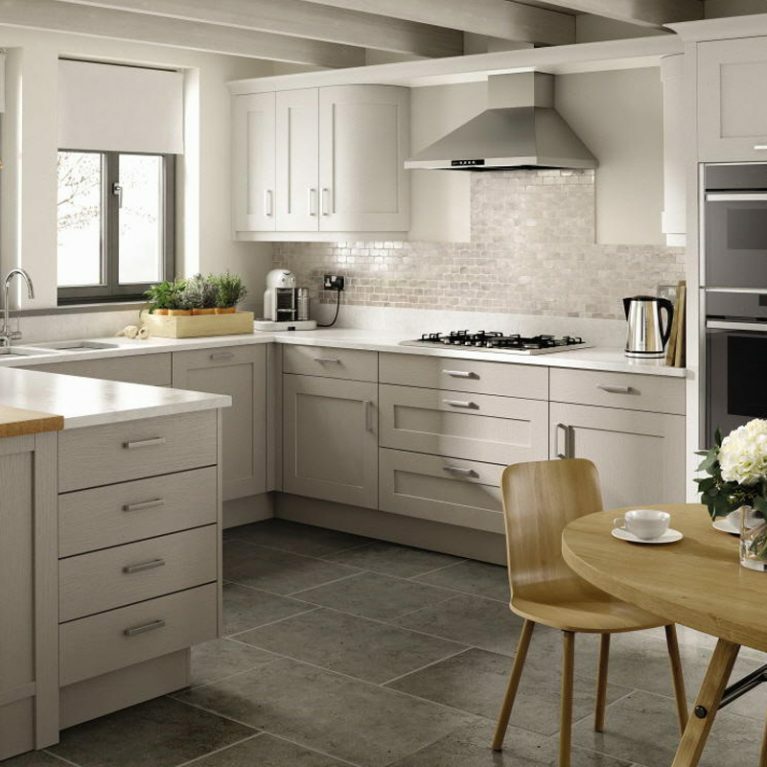 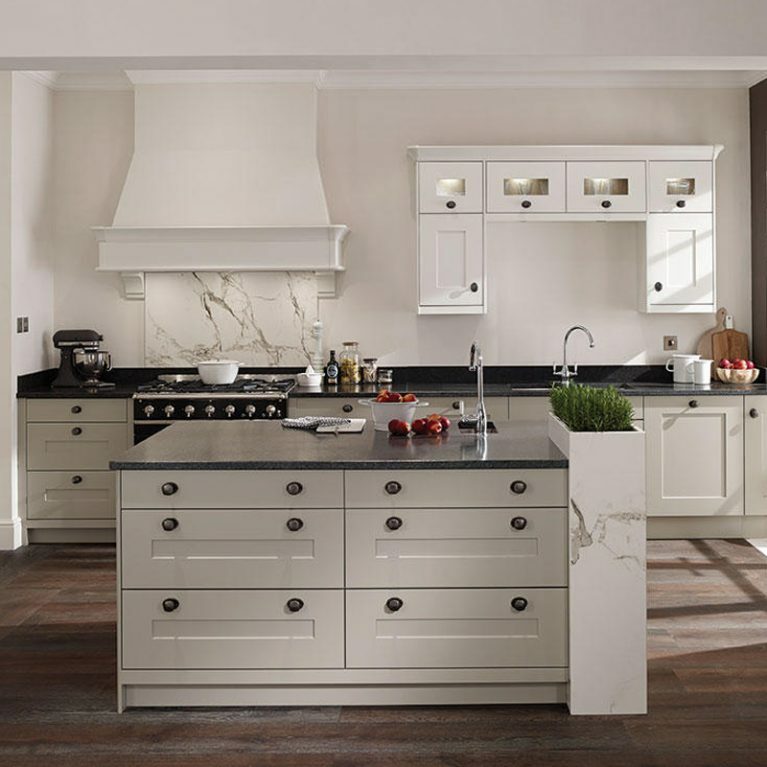 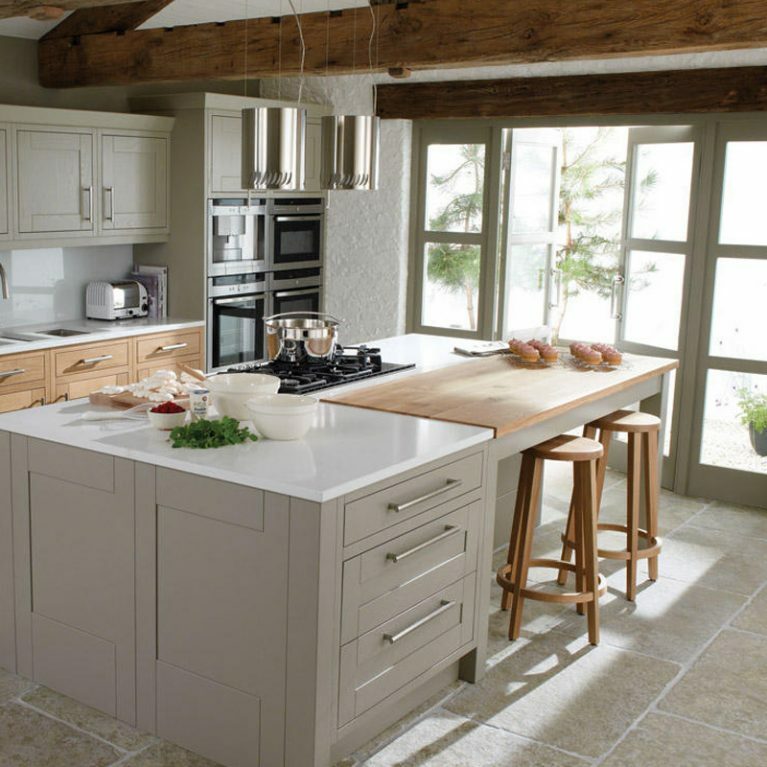 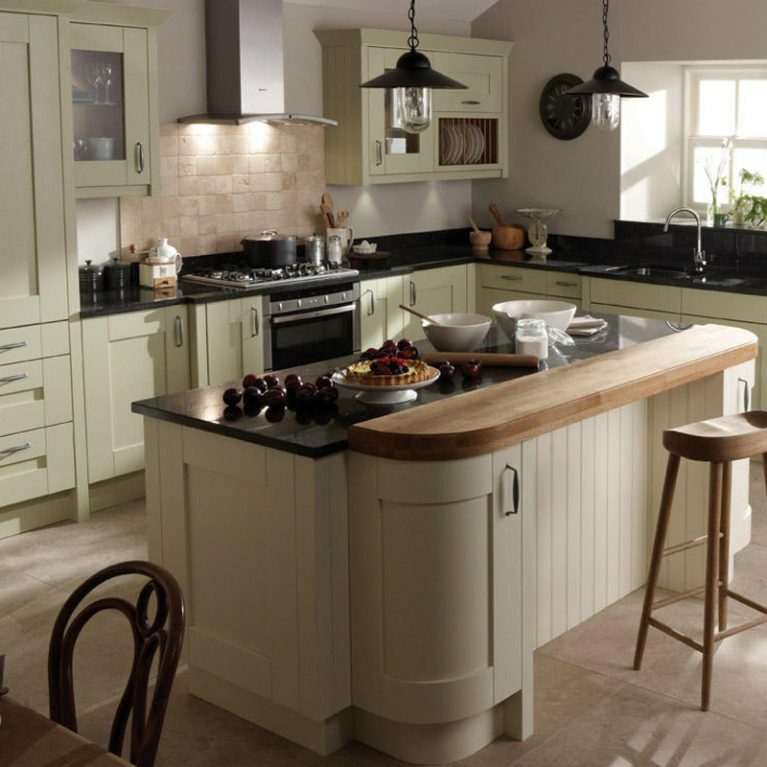 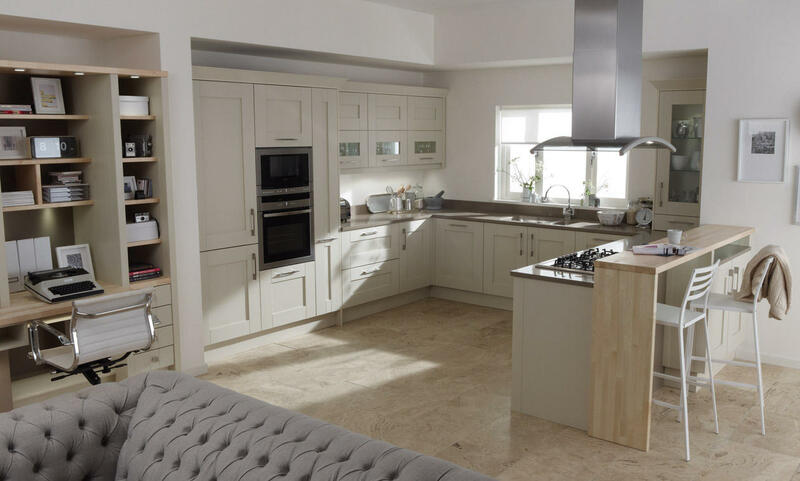 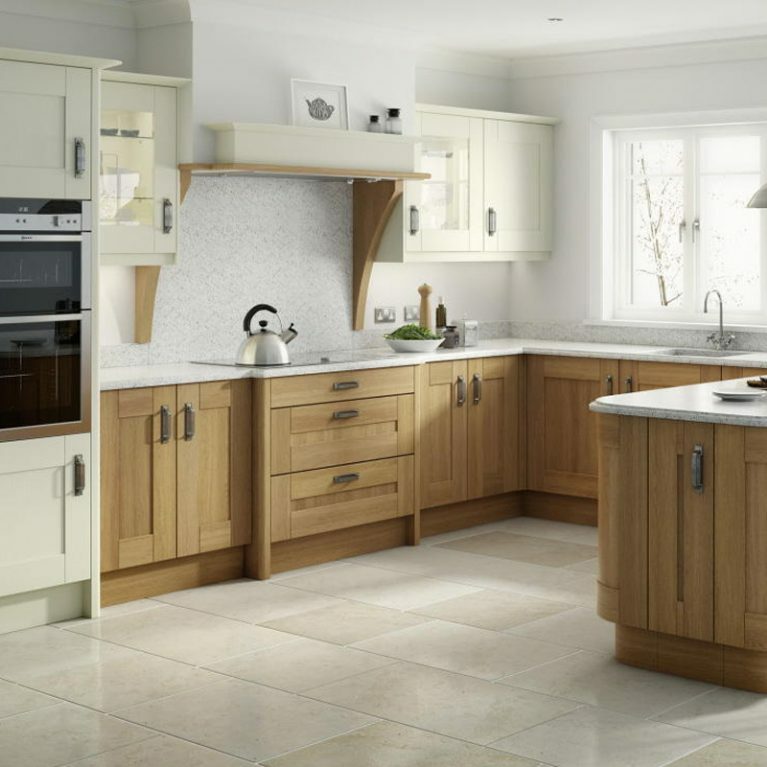 The Milbourne Almond classic kitchen is in a gorgeous neutral cream shade. 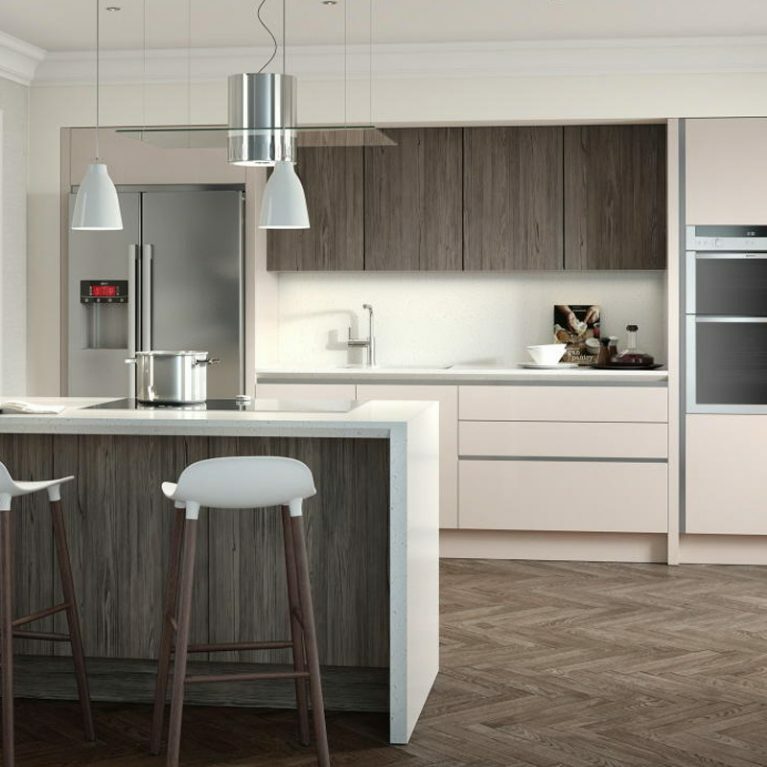 ‘Almond’ is an incredibly versatile colour, blending seamlessly with a host of different hues and shades as the perfect base colour, yet simultaneously standing up as a feature colour on its own. 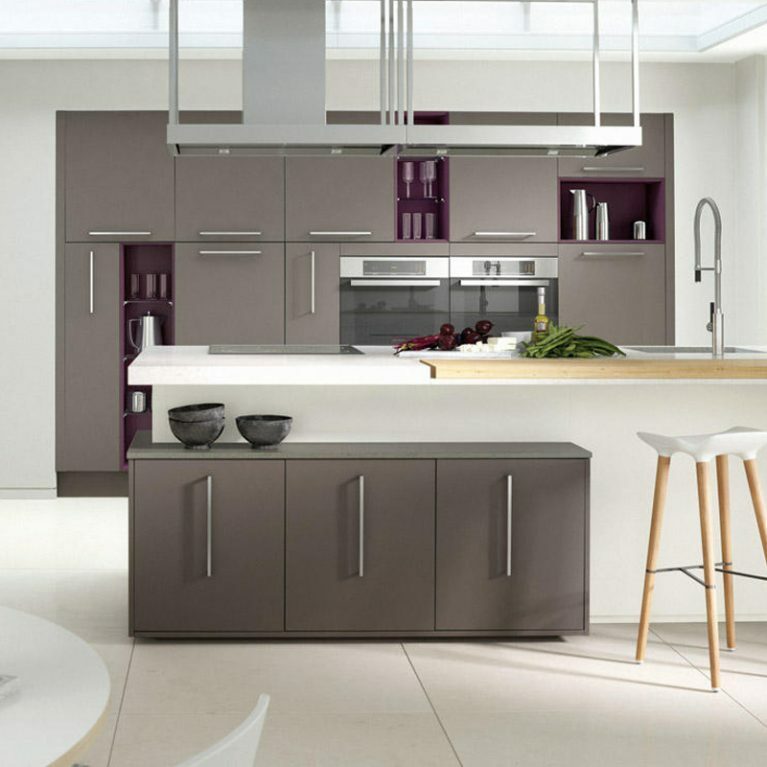 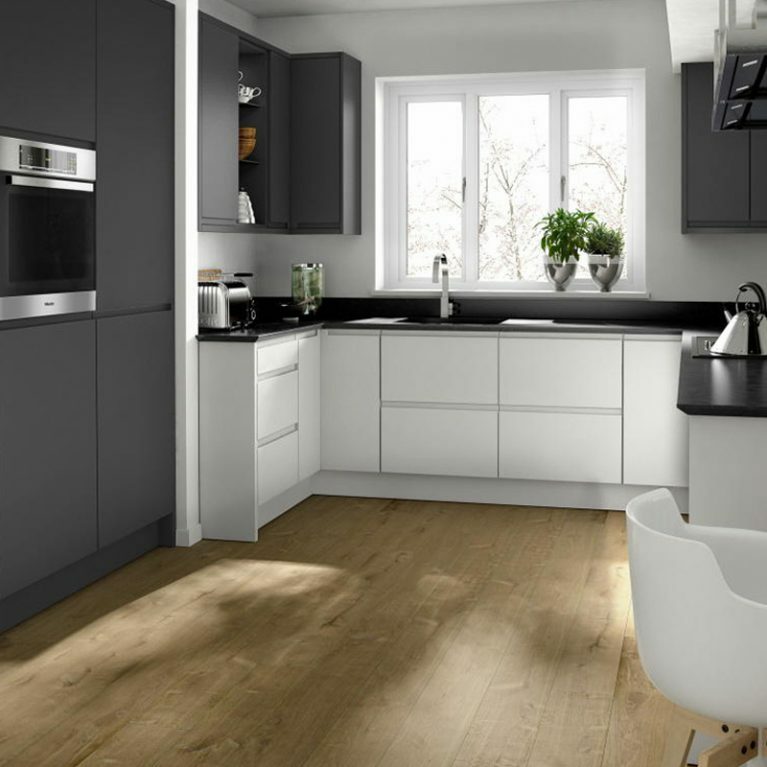 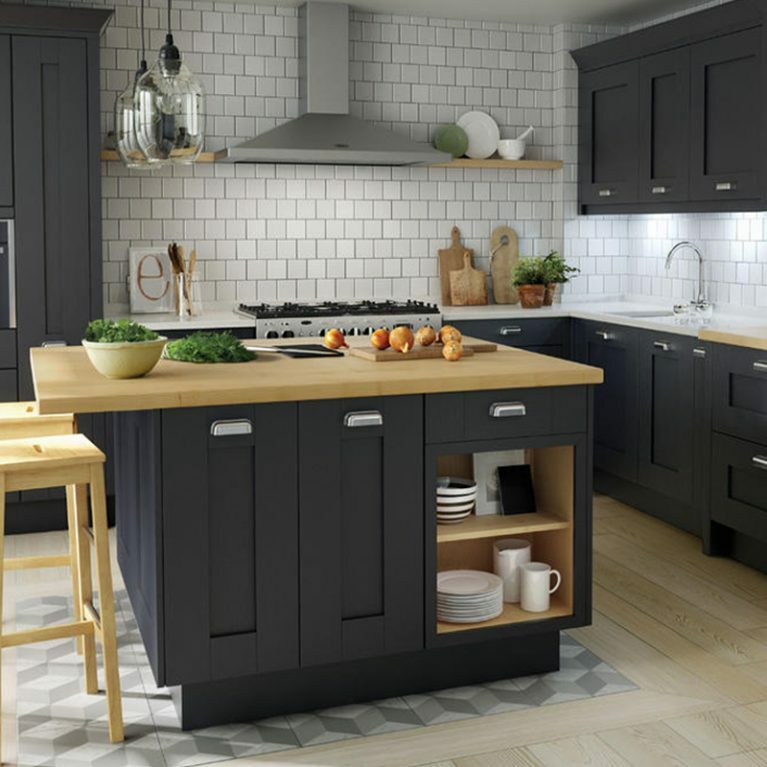 You can choose from 27 different striking matte shades to customise your Milbourne kitchen and truly make it your own. 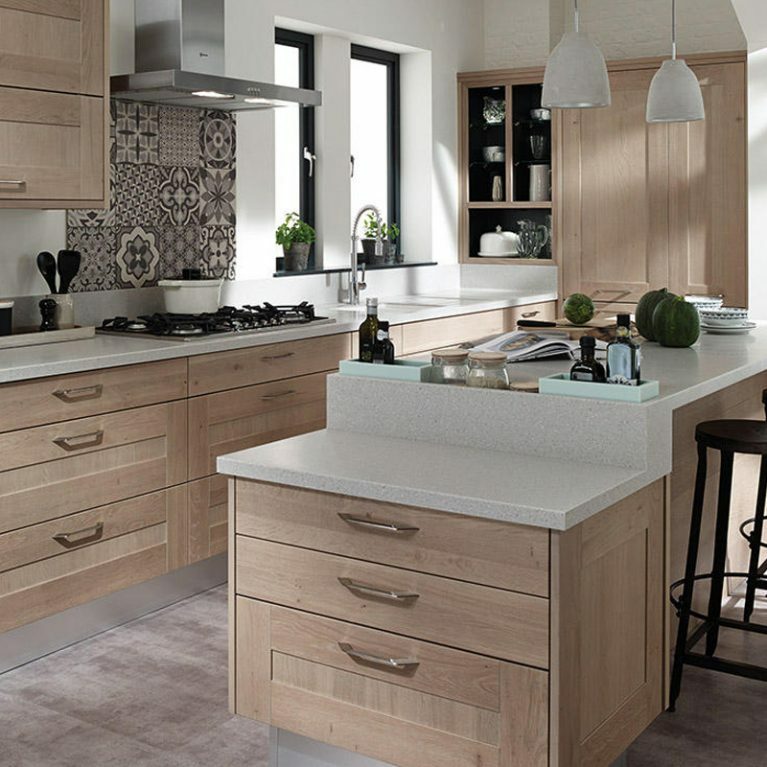 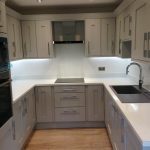 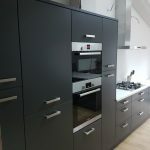 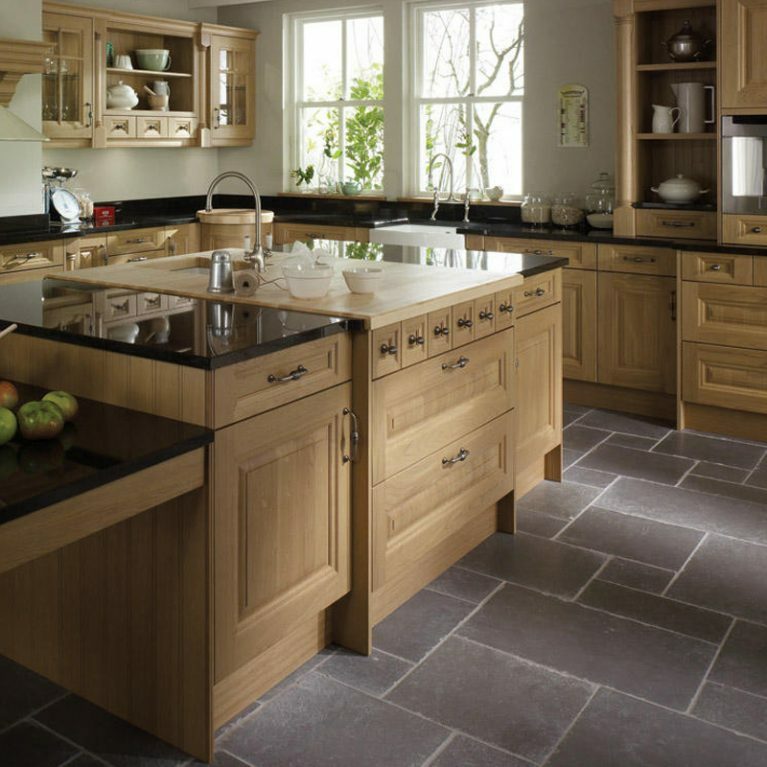 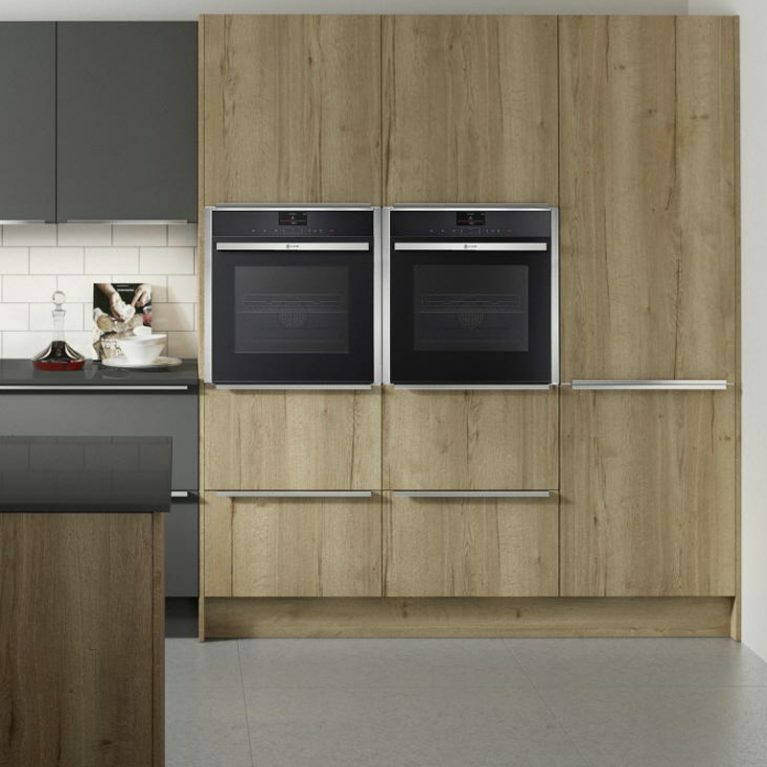 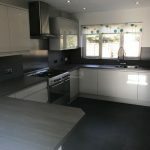 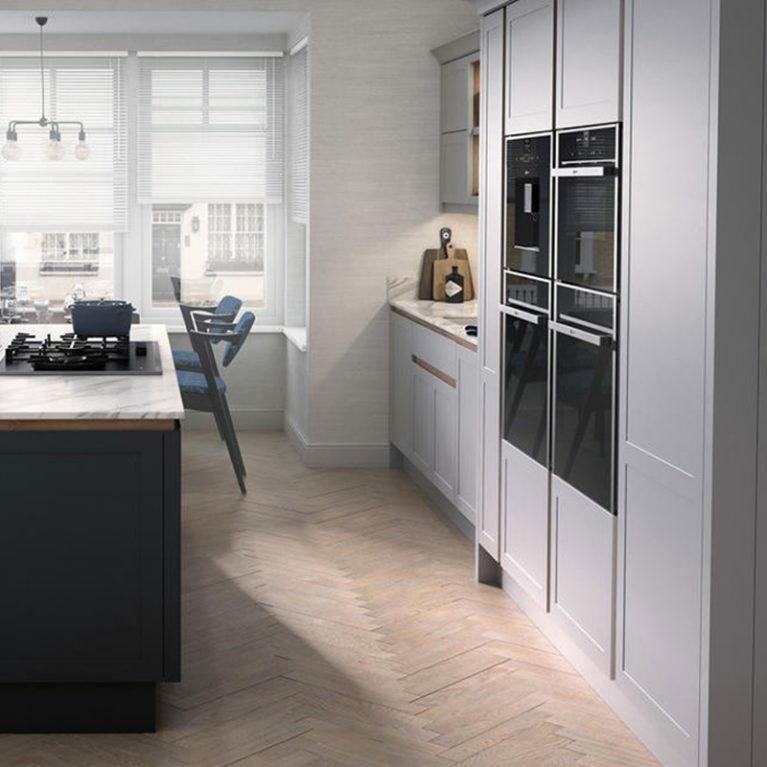 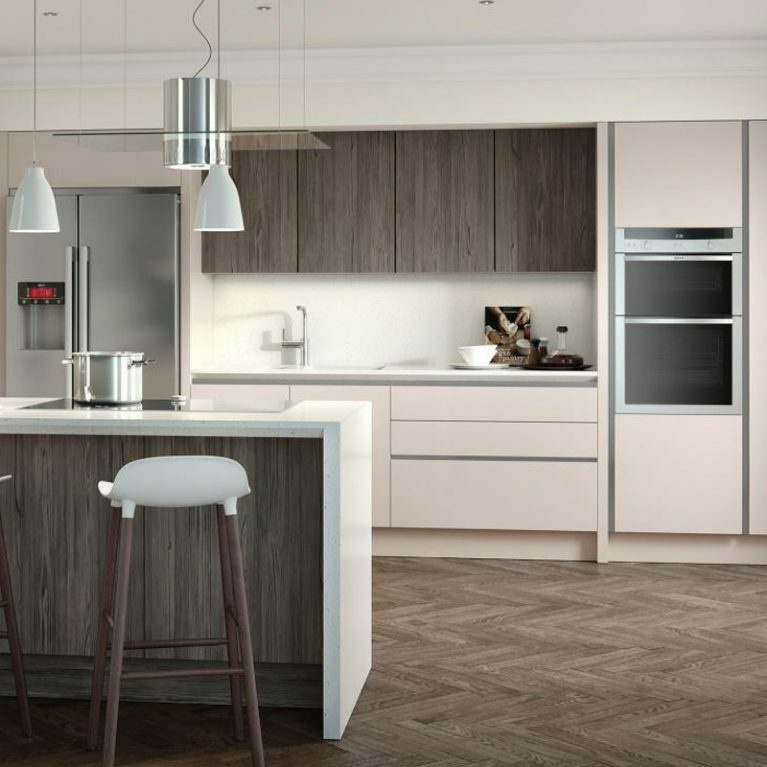 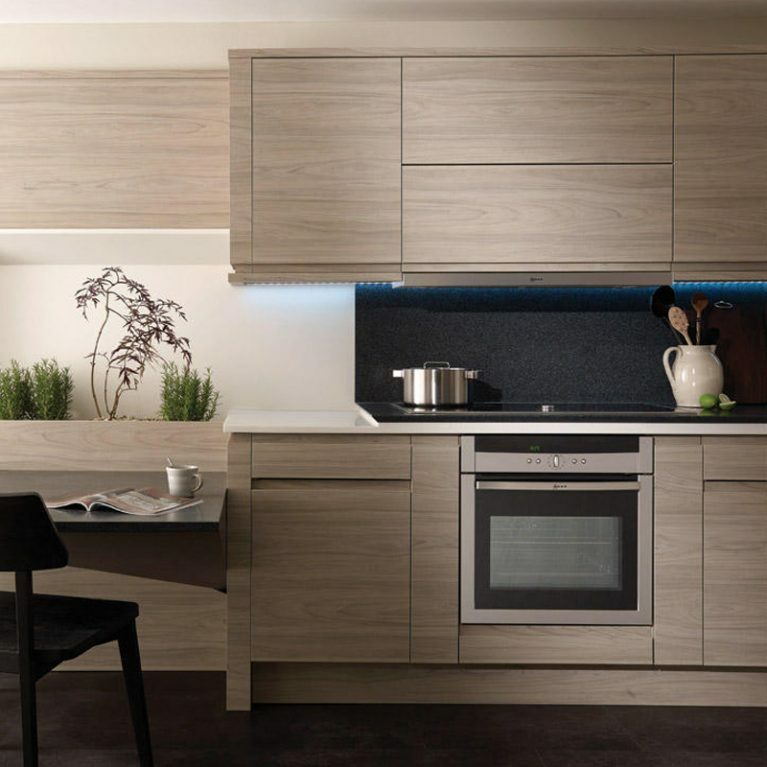 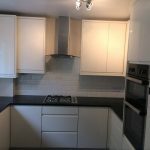 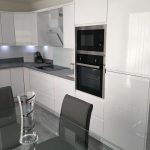 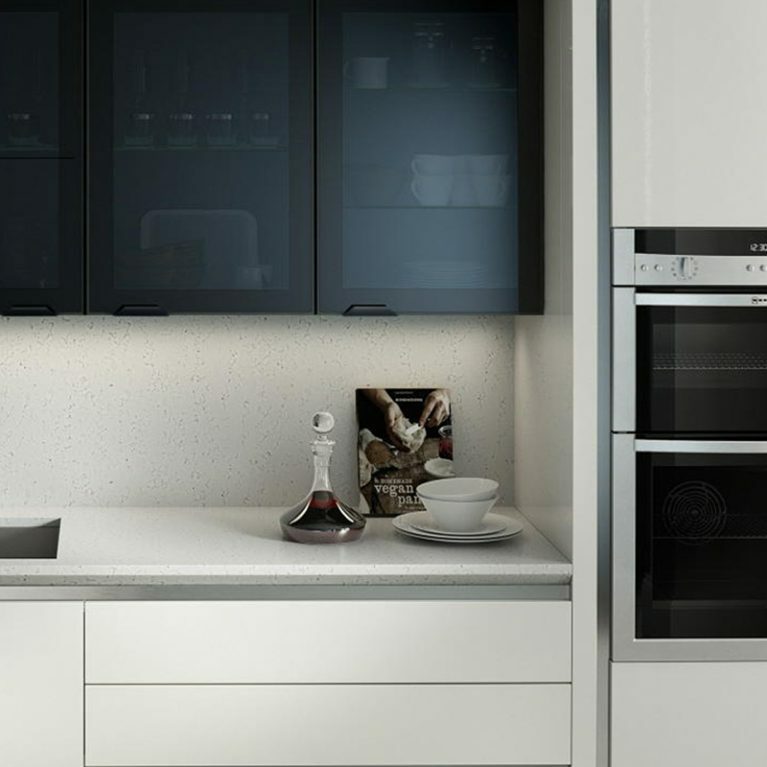 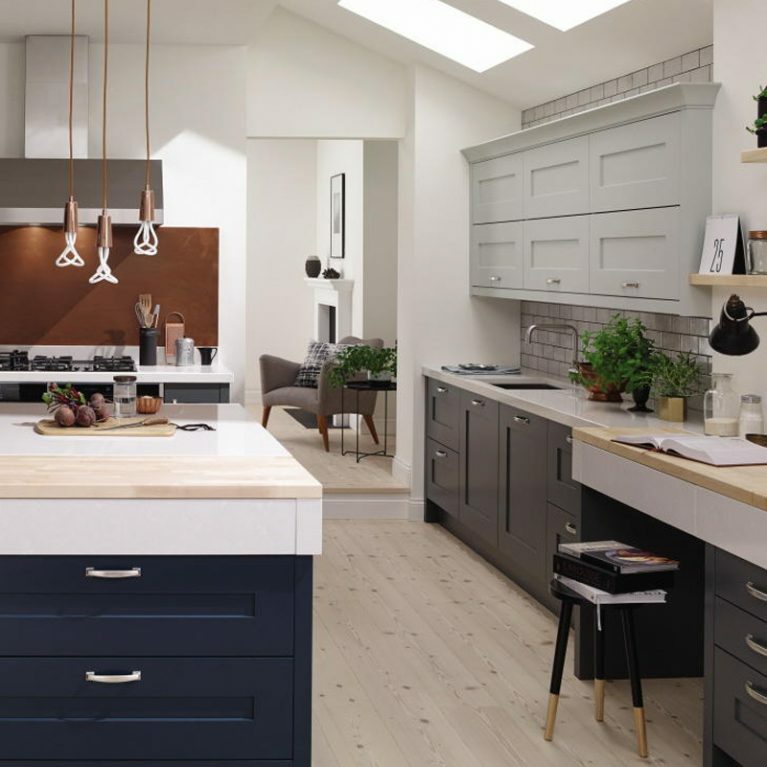 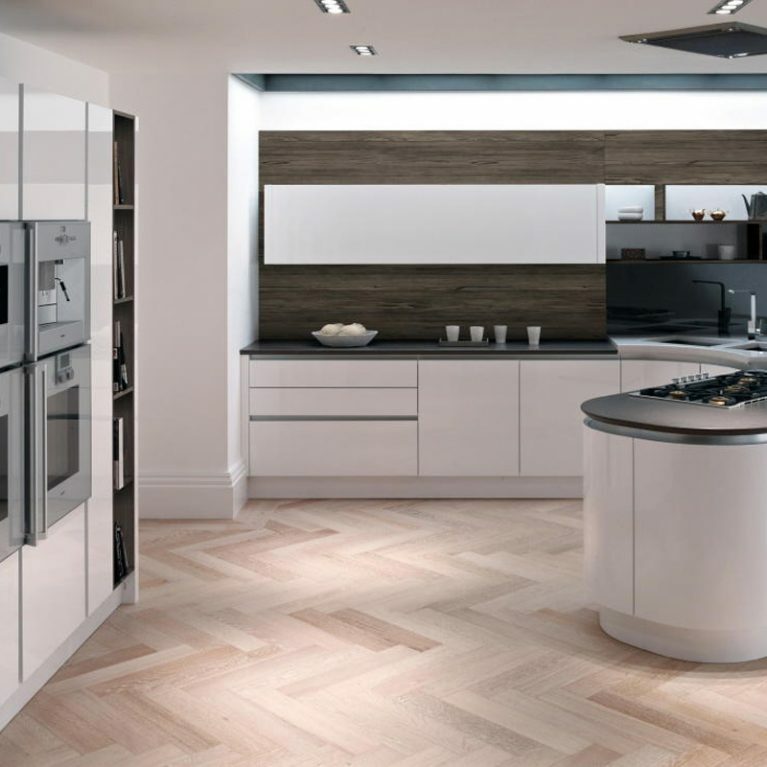 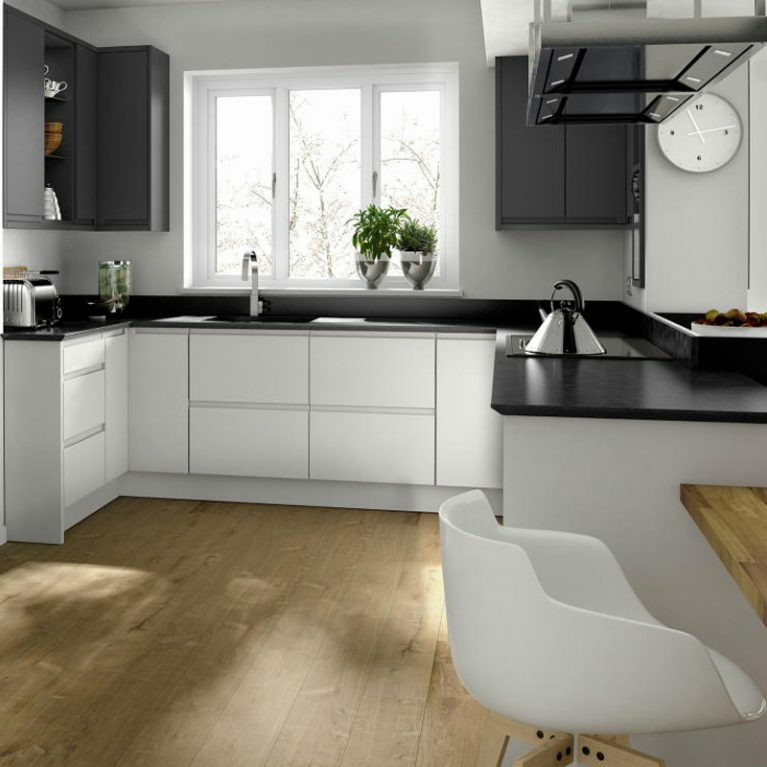 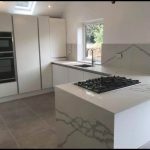 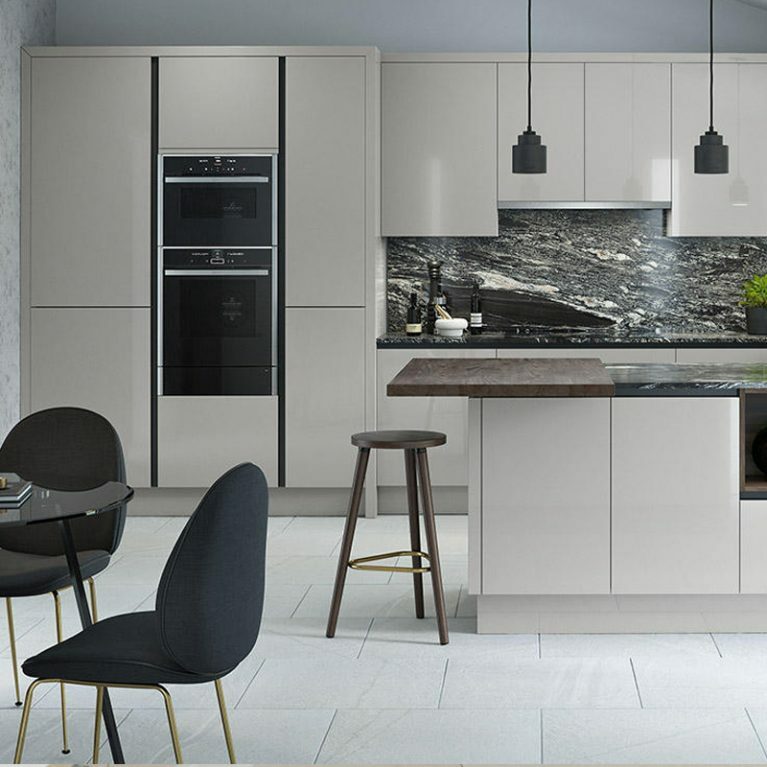 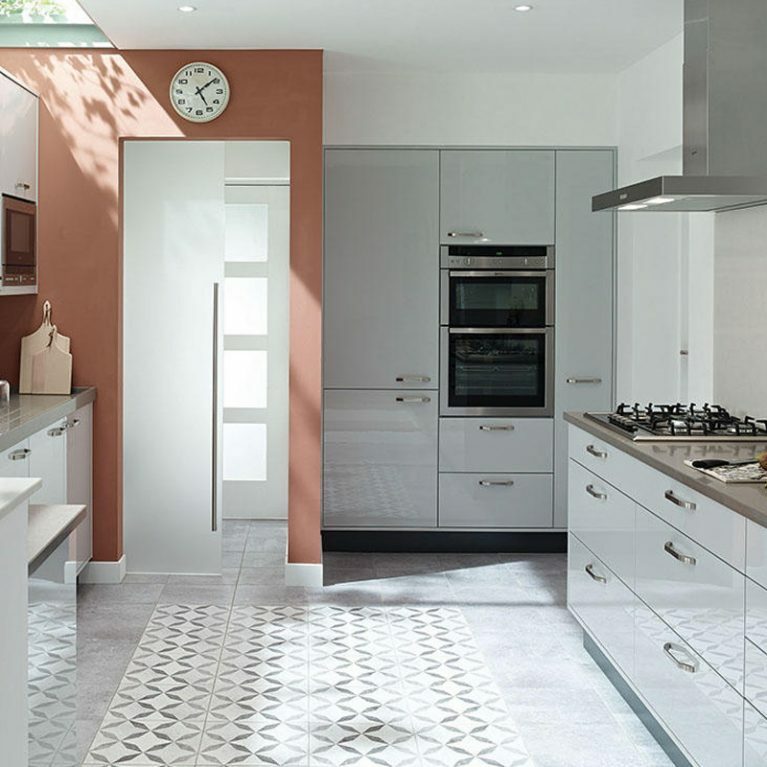 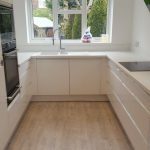 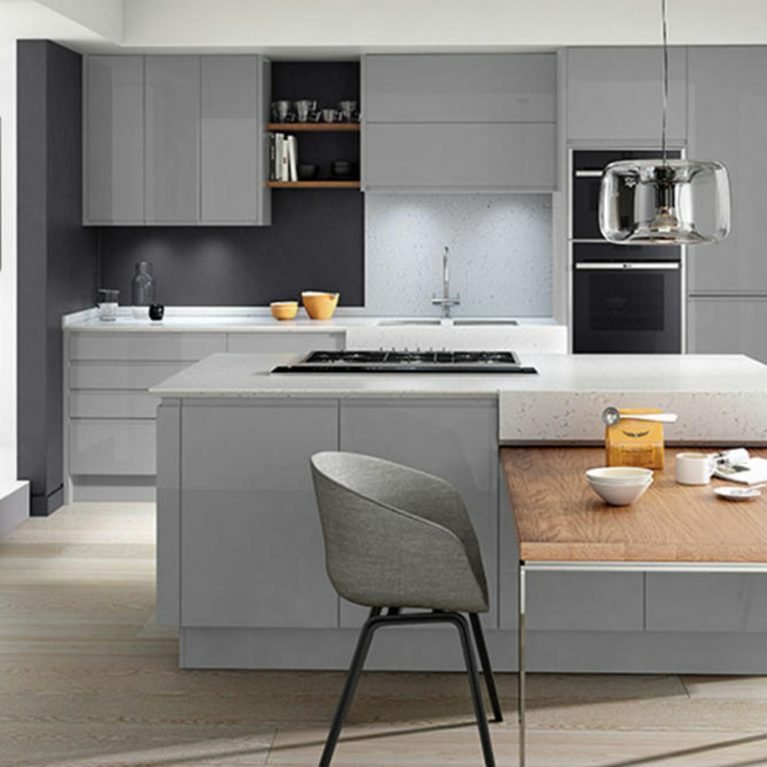 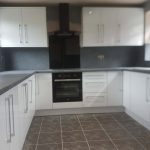 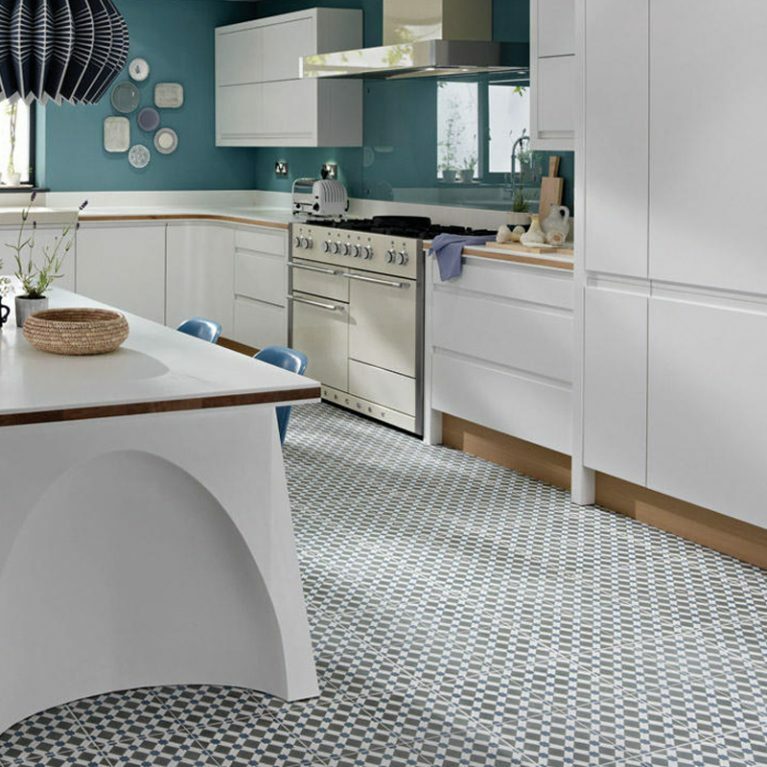 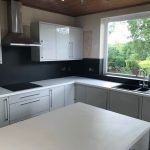 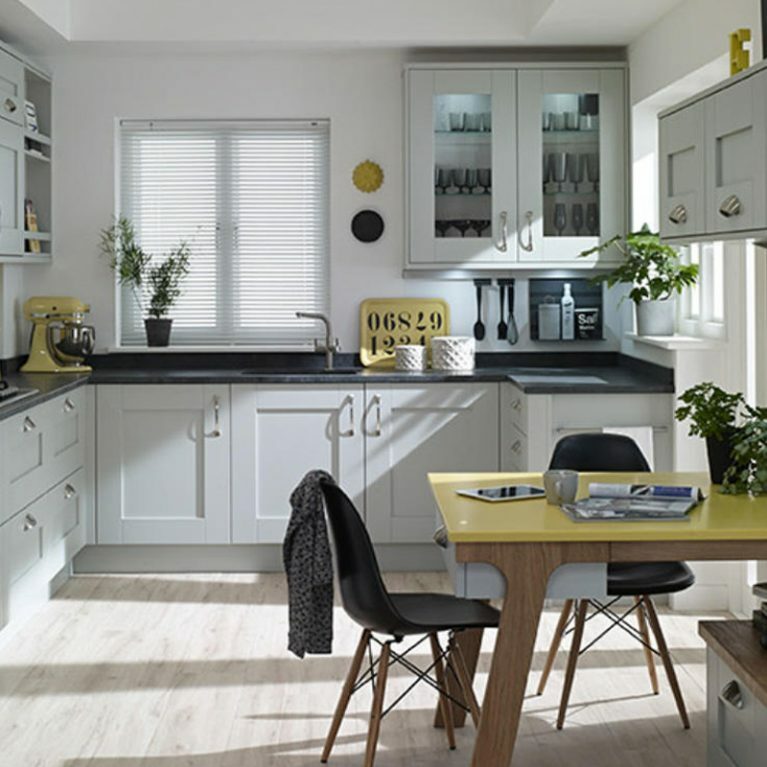 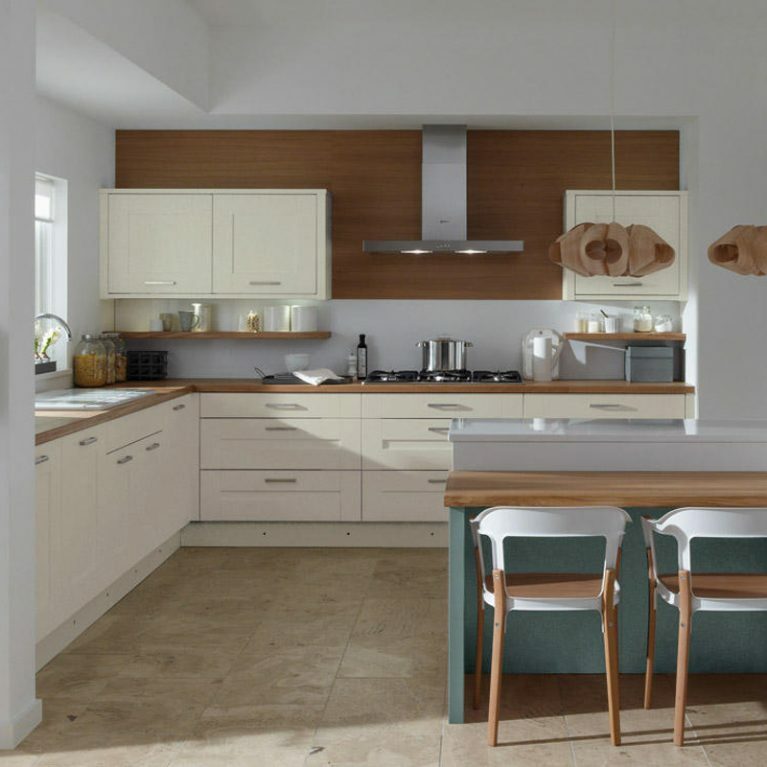 Milbourne Almond is a cool and contemporary kitchen design, with smooth lines and a subtle textured finish to the doors, adding a depth to the design. 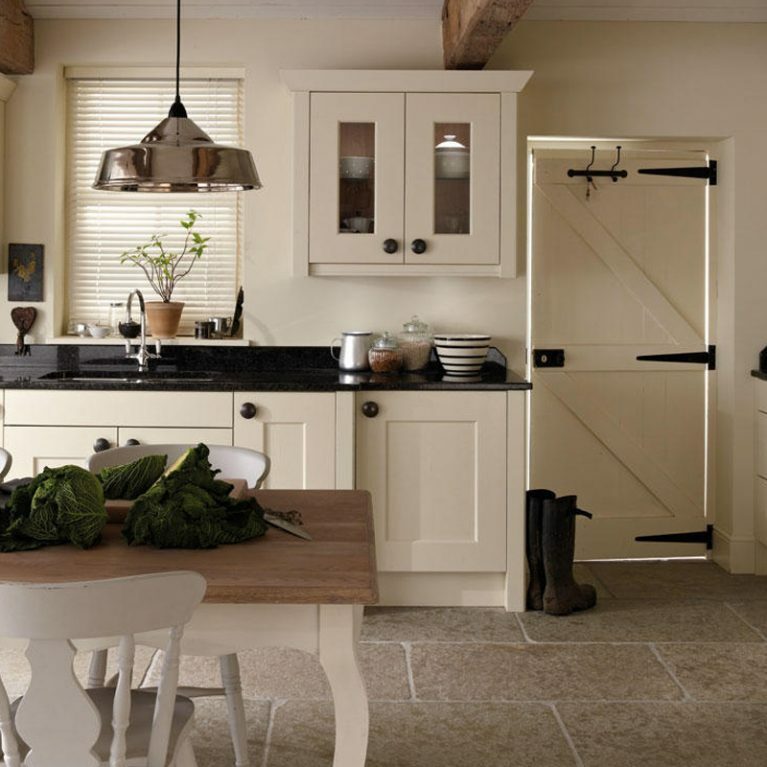 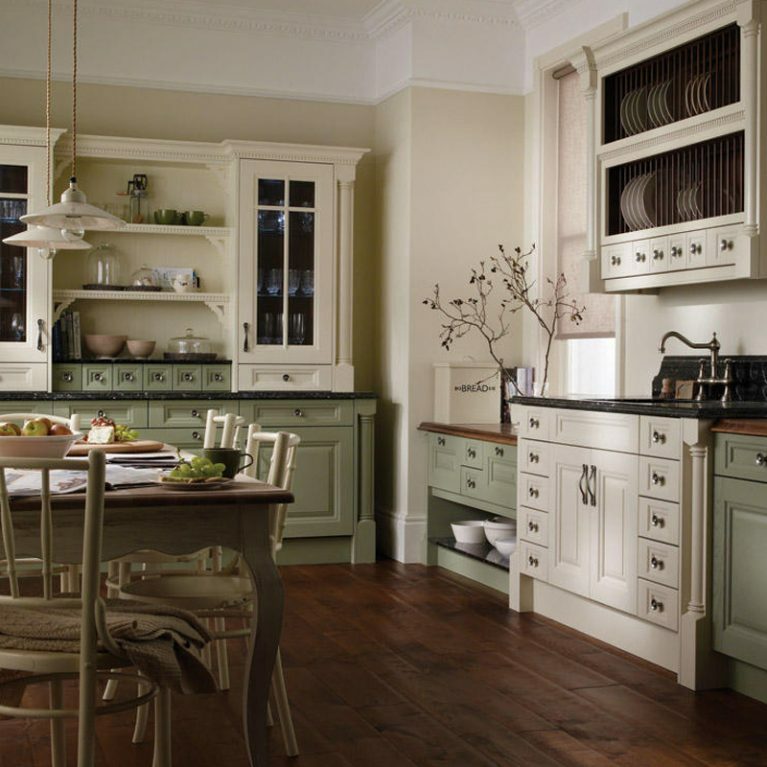 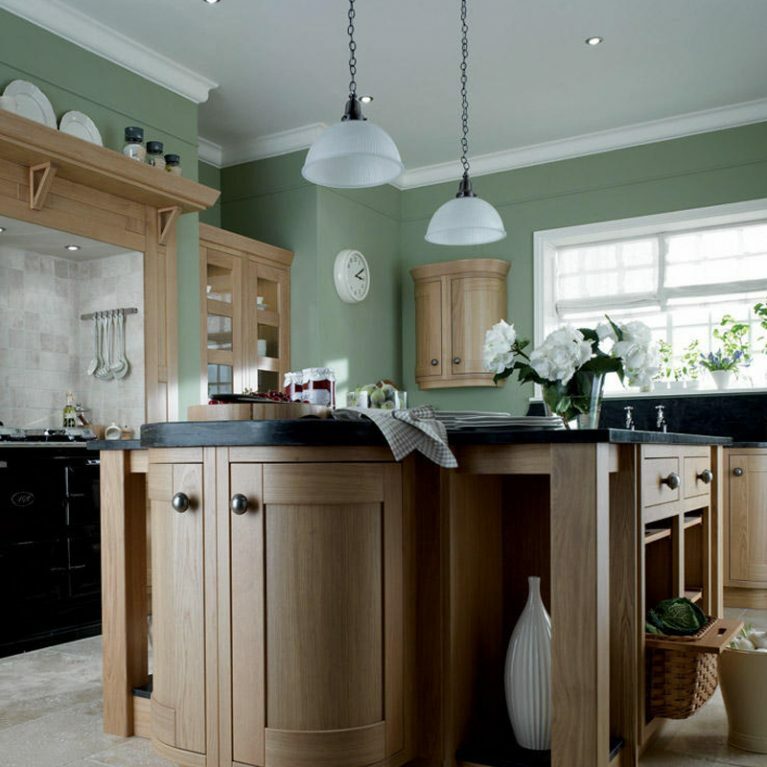 You’ve got incredible shaker doors with a chunky frame, creating a beautiful and bold finish. 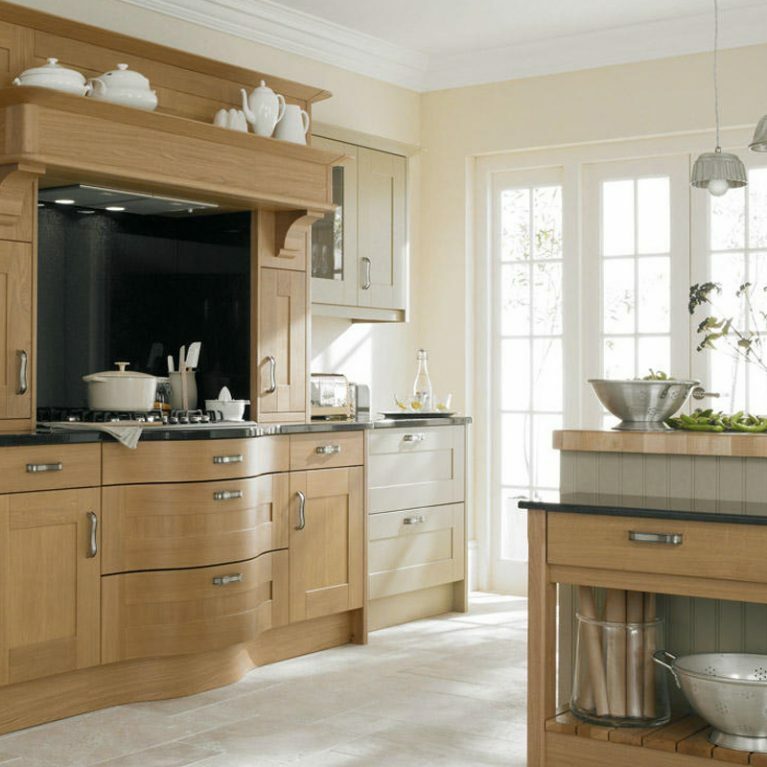 Chrome handles finish all of the cupboard doors as a fabulous contrast to the sleek cupboard design. 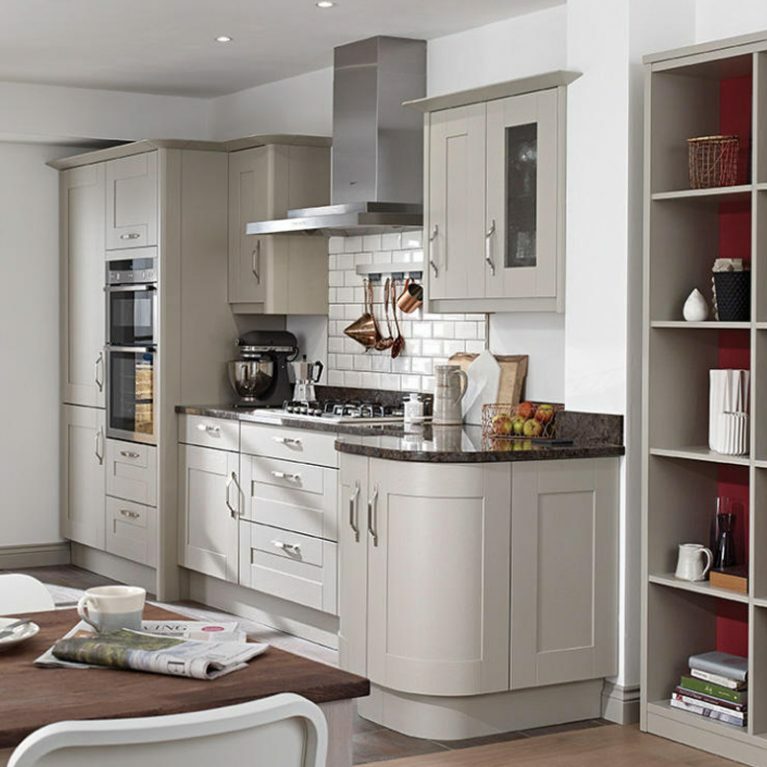 Upper and lower cupboards offer a multitude of storage options to hide all of your kitchen accessories. 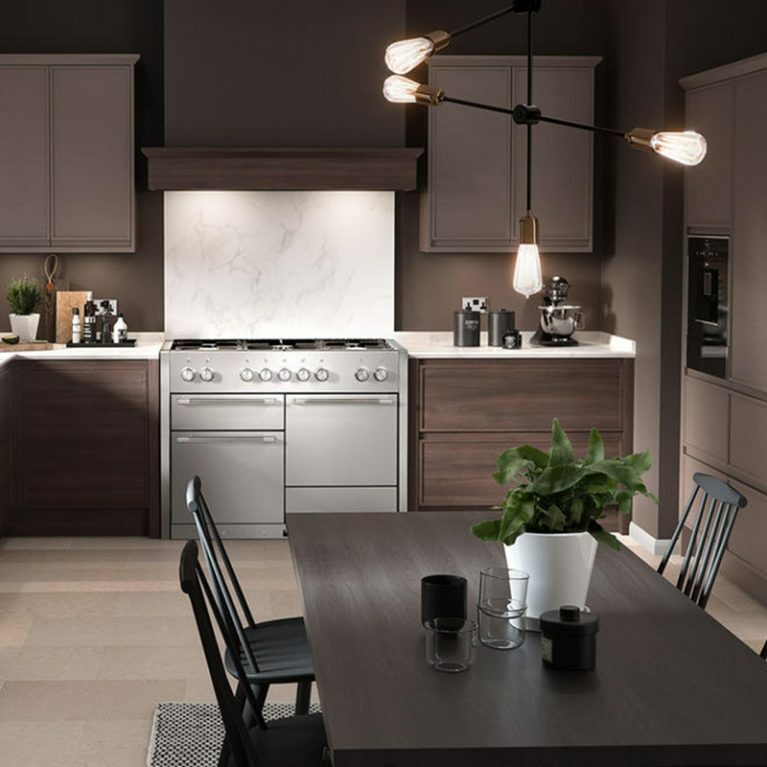 Your oven is built into the Milbourne Almond classic kitchen design, and you’ll find a snazzy chrome faucet and sink area which adds a modern twist to this shaker kitchen. 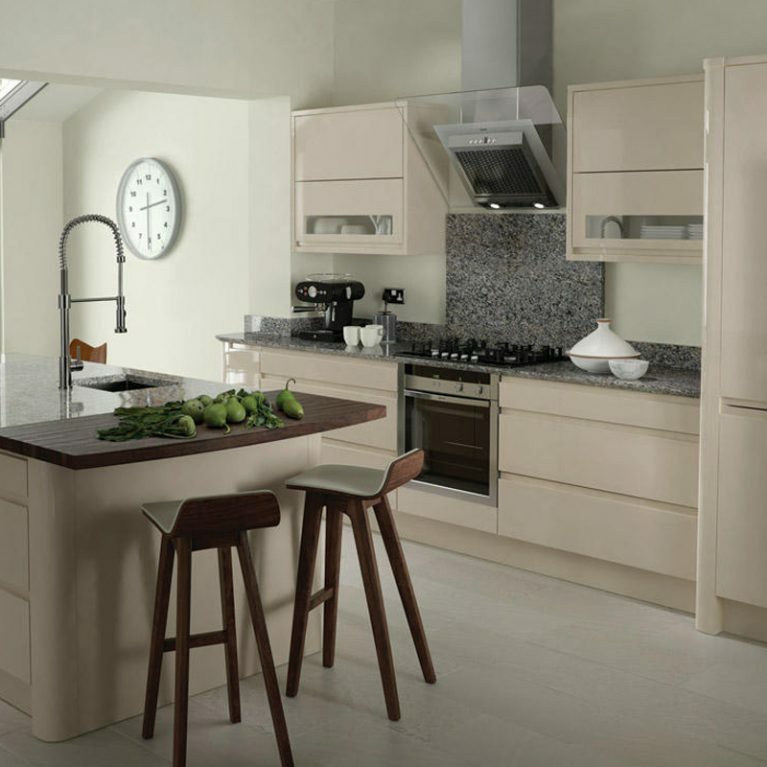 Finished with a contrasting work surface, the brown countertops create a fabulous visual contrast to the creamy almond shade of the kitchen. 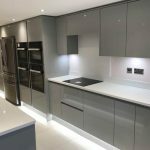 You can choose a surface shade that suits your needs, opting for a contrasting style as pictured, or something more neutral in colour for a seamless finish. 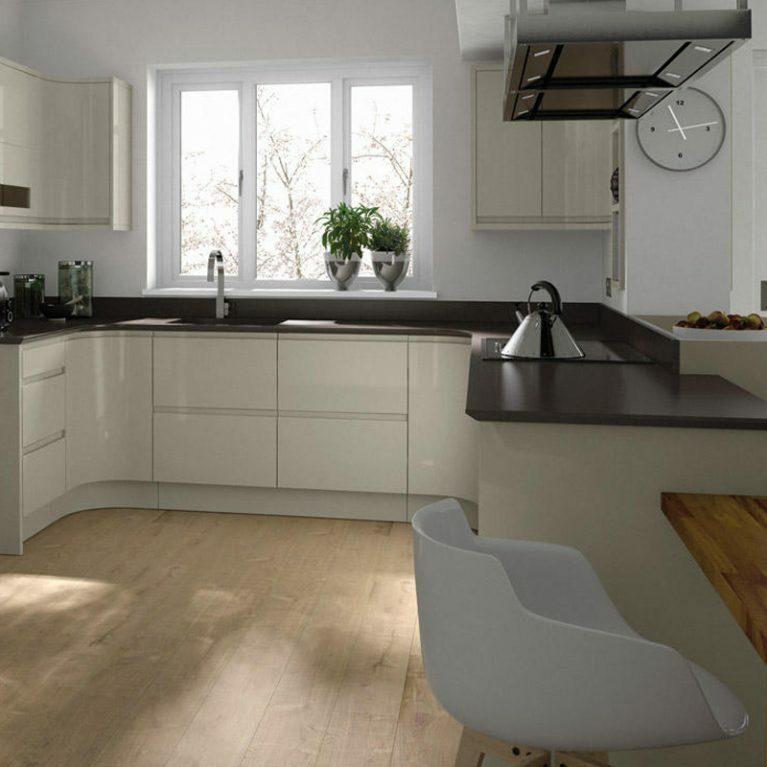 You’ll find ample surface space for food preparation and entertaining with the Milbourne Almond.